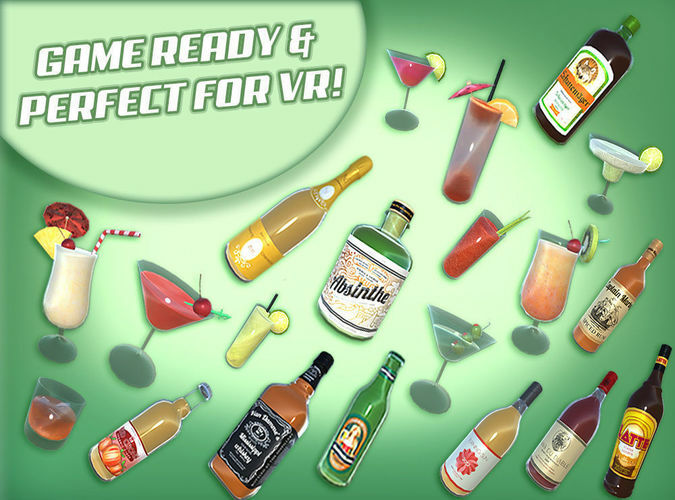 This extremely affordable package contains 25 items from classic cocktails to bottles of booze, all made with love and care! Highly detailed and even perfect for VR. The models are between 78-795 polygons. The package comes with 1024x1024 and 2048x2048 atlased textures: diffuse and normal maps. The models are in OBJ., FBX. and BLEND. format. You also get a Unity package! Feel free to contact the asset publisher if you have suggestions or complaints :) !